Was that a good move though? Because, of course, Jose had a response. Several responses. They involved polygraph tests and challenging ARod to go man-to-man and face-to-face so for those of you worried that toxic masculinity was on the decline, Jose is trying his best to keep it alive. WHY ARE WE TALKING MORE ABOUT JOSE CANSECO!? Nobody gives a sh-t about Jose Canseco and that story was on its way to dead and now, now it’s back on the front page, which is not what JLo and ARod want, not at all. So Jessica may have thought she was doing them a favour but she actually did Jose a favour since he now has some life in him again to keep thirsting. JLo is going to the gym with that boulder on her finger. Which is what she does – and I don’t mean working out but how she responds to pressure: she holds on even tighter. She loves love. She fights for love. Current weapon: a gigantic diamond. How do you even do pushups without that ring punching you in the face every time you drop down? I couldn’t go to the gym with that thing on. I’d be too afraid of hurting it, and myself. What if it gets chipped?! But that, hilariously, is what JLo is used to. Which is also what makes all of this so amazing. 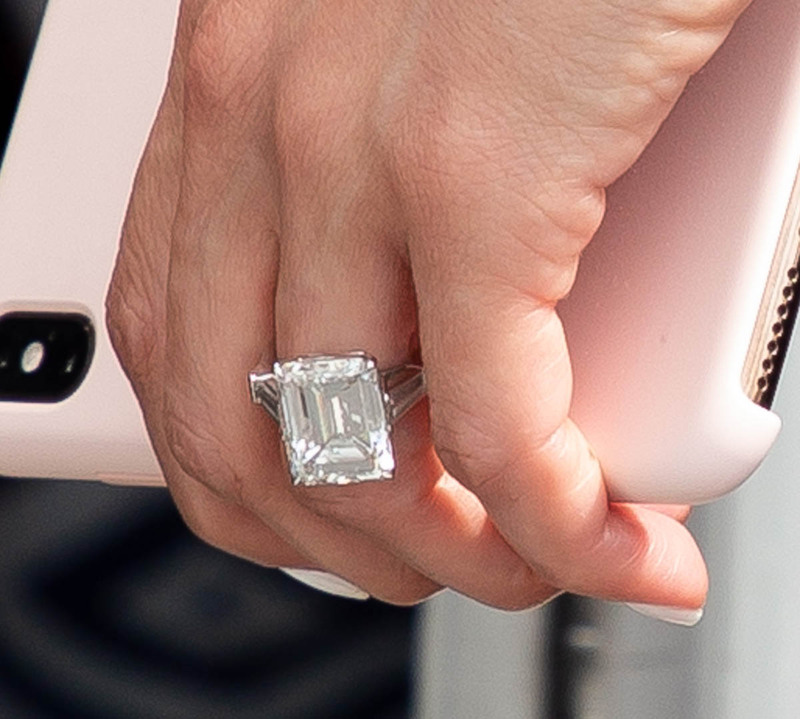 It’s not like she doesn’t know what a gigantic engagement ring feels like – she knows it so well it’s casual now, to be doing burpees and planks and mountain climbers with the weight of 6 karats on one hand. She is EXPERIENCED in massive diamond wear and protection. Imagine that being one of your skills?